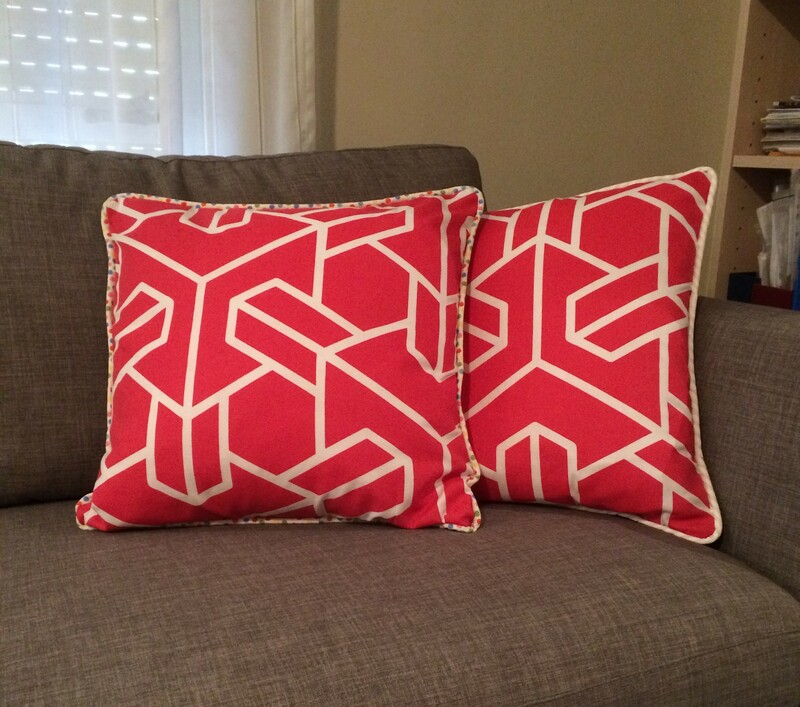 I made two cushions with a zipper and two with piping and a zipper. I made two tutorials while I was sewing them. You can download them from the tutorial page. 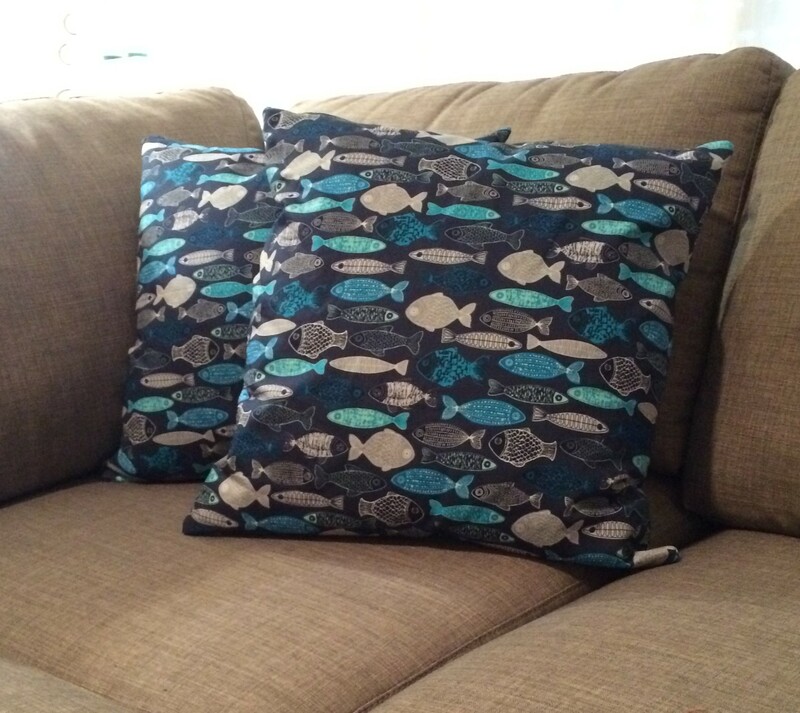 Always cut the fabric about 1″ smaller than the insert, that will make the cushion more full. I used home decor fabric for the red ones and quilting weight fabric with a woven light-weight interfacing for the blue ones. The piping fabric is left over cotton fabric that I cut strips on the bias and then joined them with a diagonal seam. There is many ways to sew on a zipper. I show two different ways in the tutorials.